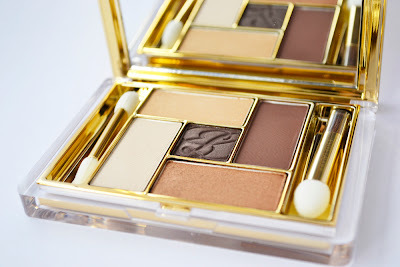 Following on the Modern Mercury collection and showcasing of the devastatingly beautiful illuminating Gelée powder, I have an equally beautiful palette from Estee Lauder to share with you today. This time it’s the eyes that get all the attention. The Color 5 eyeshadow palette in Bronze Dunes one for the latest addition to the Pure colour eye shadow palette range and features neutral browns and bronzes to allow you to create chic and modern eye looks. These colours are by no means unique but what sets it apart is the expertly co-ordinated shades in a single palette that makes fool-proof creations quick and easy as well as the softly milled texture and high impact pigmented formula. I rarely use the included sponge applicators or brushes, preferring to use real eye makeup brushes but these are well made and would be definitely put to use when touching up on-the-go. 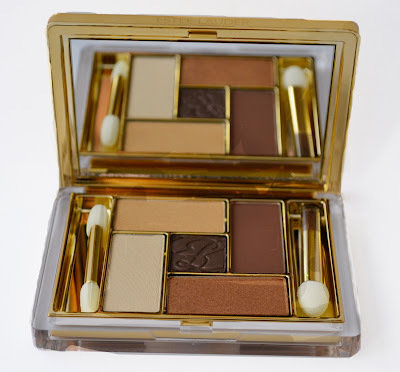 What I love most about the palette is the zero fallout experienced and the buttery soft texture that glides smoothly on lids with a single swipe. Blending work is easy and the colours don’t go muddy and because they are so pigmented, less time is spent layering the product to get the desired colour intensity – perfect for rushed mornings. Lasting power is fantastic on my oily lids (I do have to prime them to get maximum life out of them). 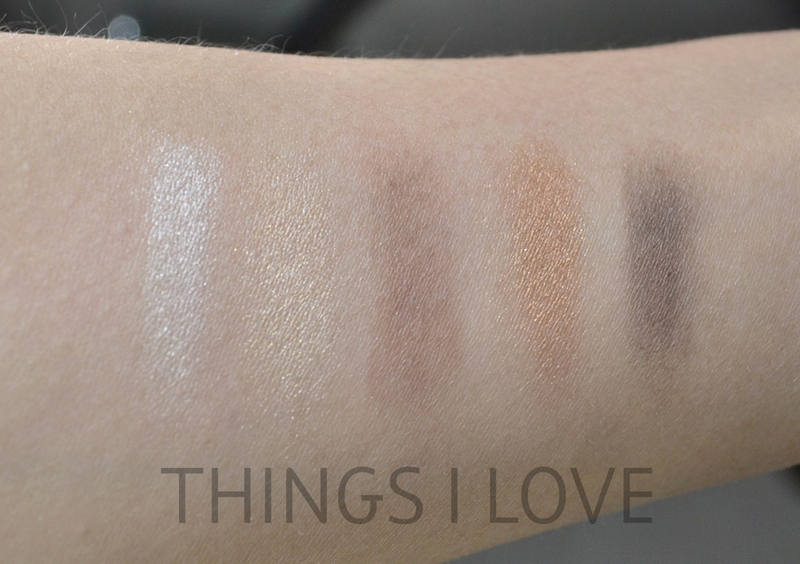 Can you tell I’m completely smitten with the pure color formula and this palette? What is your everyday eye look? Mine is a shade or 2 of neutral colours, liquid liner and lashings and black mascara. 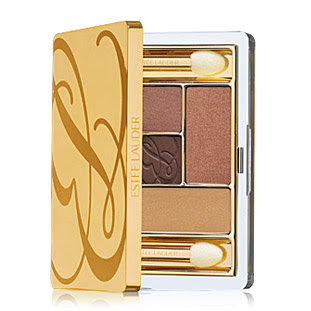 RRP A$90 on Estee Lauder counters at Myer or David Jones stores or Estee Lauder online. Oh~ that is a gorgeous palette~ Love the neutral shades especially the 'copper bronze'. pretty pretty colours! i've never tried estee lauder, i think it's time i take a visit to their counter! @Popblush - that's my favourite shade too. And the biscuit cream one is an amazing highter. This is definitely a beautiful pallette, gorgeous colours. Love that there is no fallout! its a gorgeous pallette ..loving neutrals atm..
@saumya - indeed it is very pretty, the gold just screams luxe! Those colors are every girl must-haves! Planning to buy makeup online and i will check this out.